when they were above the knee. 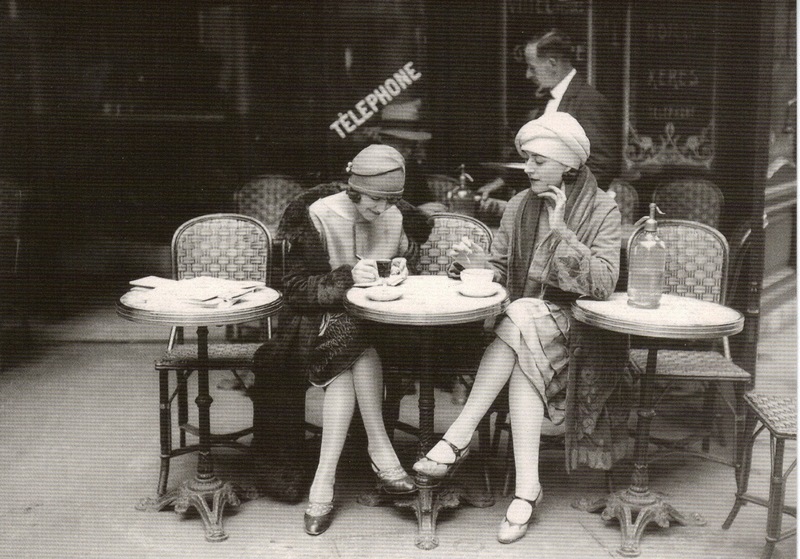 By the 1930’s, hemlines began to fall again to above the ankle and remained there till the 1940’s. 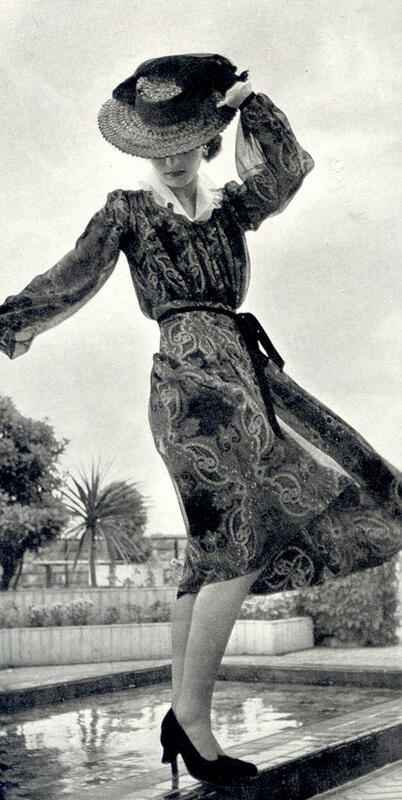 In 1942, clothing rationing brought about actual regulations on womens clothing ! The UK had their ‘Utility Clothes’ regulations, and the USA introduced Regulation L85 which set skirt lengths to 17 inches above the floor. 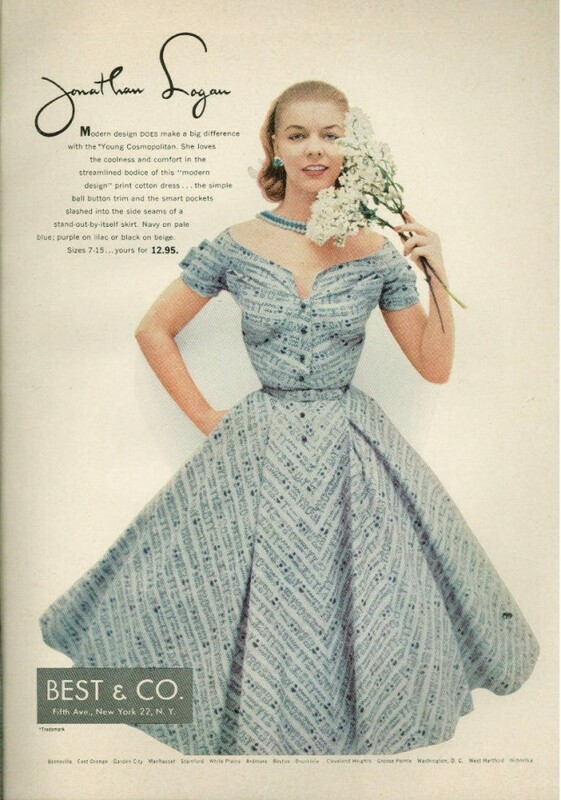 Interestingly, the Evening Dress has stayed near to or at floor length over the decades. It is often said that hemlines were only of concern to the working class, as wealthy women could afford the luxury of longer dresses in their lifestyle. Do Womens Skirt lengths really rise and fall with the Stock market ? 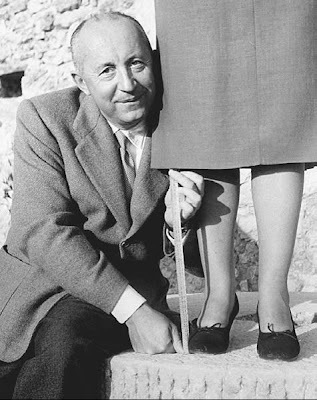 In 1926 professor George Taylor from the University of Pennsylvania invented the hemline index. It has proved incredibly accurate over the decades. The theory was that womens dresses rise and fall with stock prices in the modern age of Capitalism.. The stronger the economy, the shorter the skirts, the weaker the economy, the longer the skirt ! 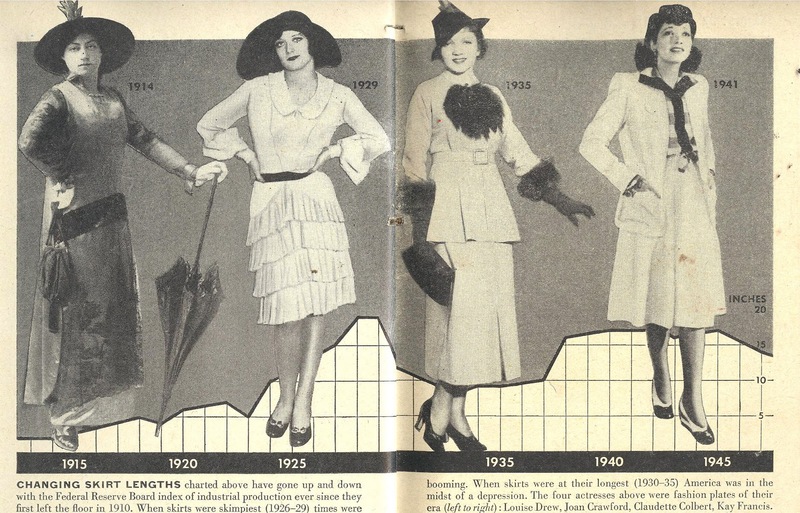 1920’s – Huge rise in stock prices, and the shortest hemlines in history for women. 1930’s – The crash also brought womens skirt lengths down to a more conservative height. 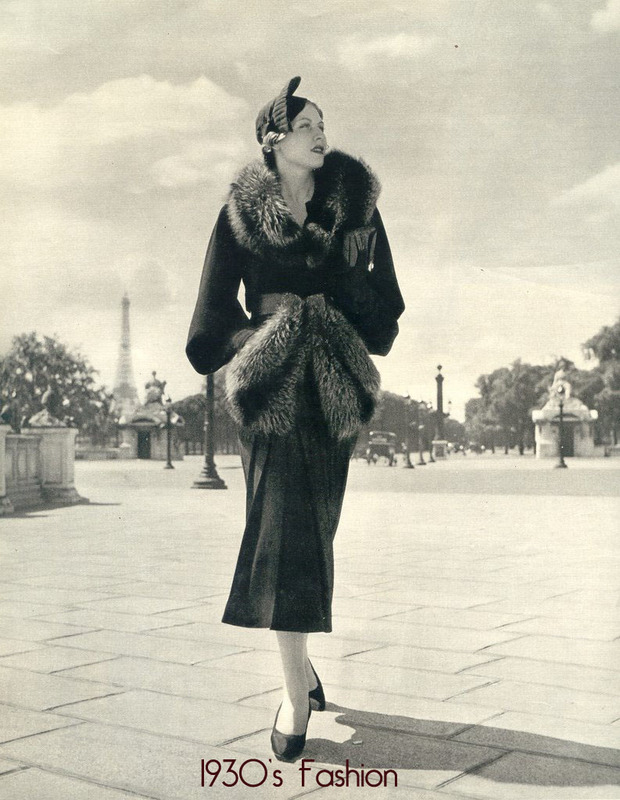 1940’s – With the war and subsequent production boom that went with it, women’s skirt lengths began to rise again. 1950’s – Skirt and dress lengths remained below knee length during this decade, which reflected the conservative era and recovering economy. 1960’s – The boom brought us the Mini skirt ! This was definitely a history lesson, but a very fun history lesson! These pictures are great. I'm so interested in fashions of decades long passed. You would make a great documentary writer! I'm going to look at your older posts now and I'm excited to see what you have next! Interesting post! Reminds me of that scene in "My Favorite Wife" where Irene Dunne puts on her best clothes from seven years earlier to meet Cary Grant at the hotel, and the floppy bows and long, long hemline are so-o-o 1933 instead of 1940 that she actually draws stares. What a difference a decade makes! That's quite interesting about the skirt stock market link. Too bad the recent stock market drop hasn't had such a conservative leaning influence on woman's fashion. Many women today are either drab or tacky.